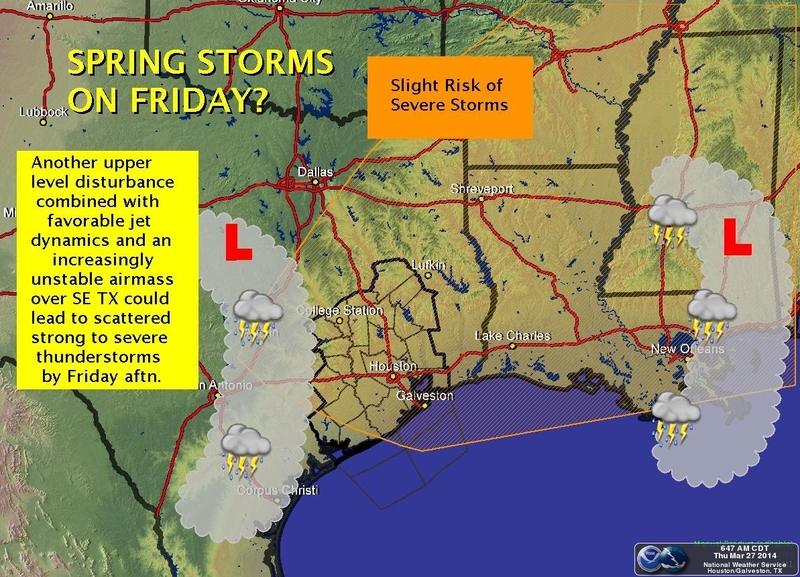 We’re not expecting to much in the way of severe weather in Central Texas this afternoon. A few strong storms could develop later today east of I-35. Tomorrow the chance for severe weather will increase in the afternoon hours as a dryline and cold front move through the area. Areas along and east of I-35 will have a threat for severe storms with large hail and damaging downburst winds.